In my previous post, I talked about and pictured a favourite building in New York — the Flatiron Building. Here are a few other favourite places. On this trip, the rain prevented me from going to Central Park — the best park in the world in my opinion — but I’ve made images there on at least two other occasions. 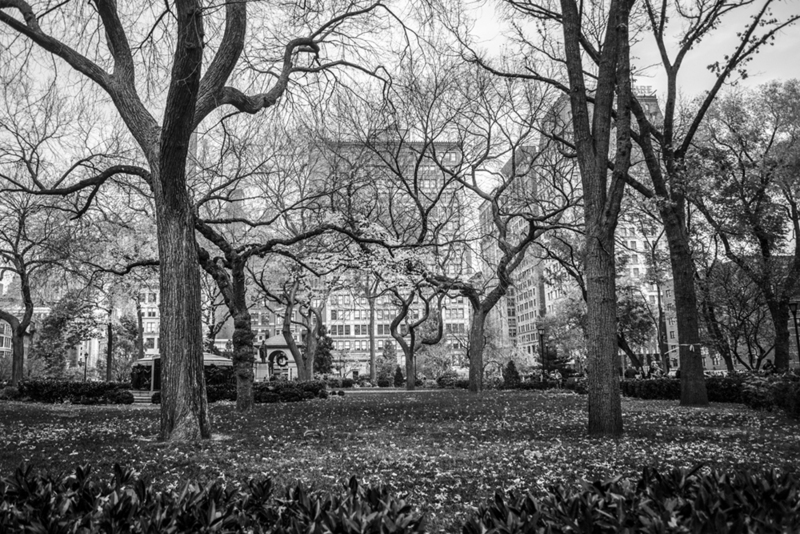 Union Square Park, which is down around 14th street, was designed by Frederick Olmsted and Calvert Vaux, the same two who designed Central Park. You can see the same design philosophy at work on a much smaller scale. I find it fascinating to read about how they so consciously used trees and plants, paths, tunnels, bridges, berms and ledges, and water features to affect people’s experience of a park. 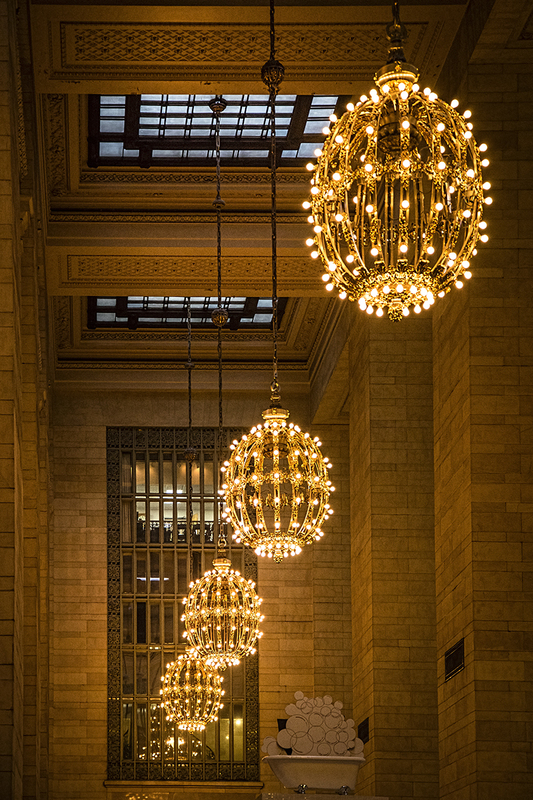 Grand Central Terminal is another place I’ve photographed before — but I keep going back there because there’s so many beautiful details to shoot and so many ways to shoot it. 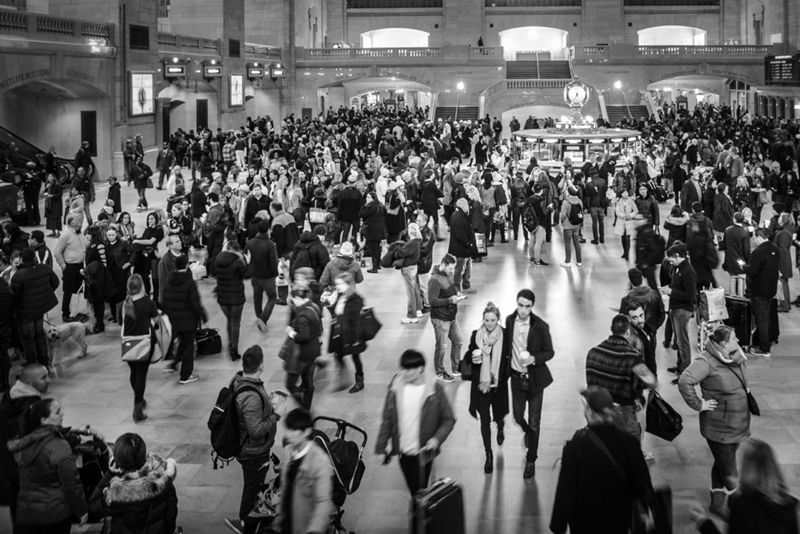 And this time I was there on Thanksgiving Day, one of the busiest travel days of the year, so it was bursting at the seams with people. It’s an incomparable place to people-watch. I could do it for hours. Actually, I think I have. I’ve been very fortunate to have had some exceptional meals in New York — some mind-blowingly amazing meals in fact. The most unbelievable ever was at Eleven Madison Park, where we went to celebrate my mother’s 80th birthday some years back. My sister and I thought such a milestone birthday was deserving of a special meal — and I’m sure it will be the only Michelin three-star restaurant I will ever eat at in my life, so I treasure the memory and the event it marked. Another great meal was at Mario Batali’s Casa Mono on one of my last trips, which was so busy that we could only get a reservation at 10:00 pm. But so worth the wait. I didn’t eat there this year, but I did go back to take a picture of the place, which is in Gramercy Park, a favourite neighbourhood to walk around in. Of course, I have many more favourite places, including the Metropolitan Opera — where this year I had the good fortune to see world-famous soprano Anna Netrebko perform in Manon Lescaut. Sadly, I did not get a good picture of that amazing place and experience. It will have to live on in my mind only. Beautiful! I am currently obsessed with B&W photography. You have brought the energy of the city alive in these photo’s Sherry…thanks so much for sharing them..
Any time! Hope we can start planning another photo safari. Thanks, Bob. Glad you like them — you have to live with them, LOL. Gee thanks, Laurie. I wish I had a picture of all my favourite places. They would fill up a lot of blog posts! Thank you, Deanna. So glad you stopped by. I’m so pleased to hear this, Leon. Thank you! And I do try to match the treatment to the subjects…some do work much better than others. 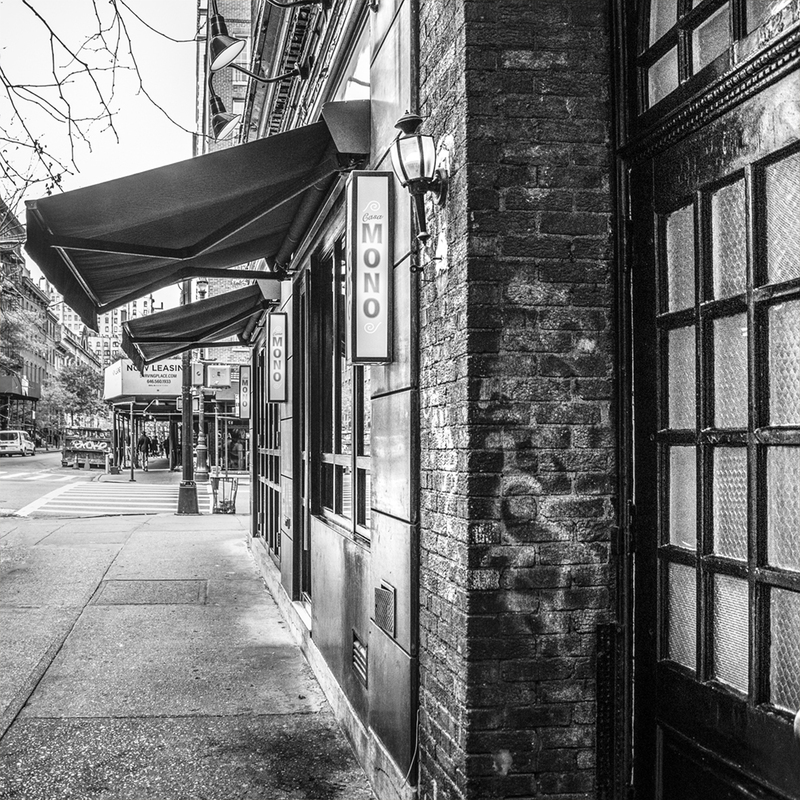 I can’t tell you how much I’ve enjoyed the beautiful black and white photos of your New York City series! B&W just seems the perfect choice for each subject you used it for. I loved reading about your favourites as well as those amazing eateries. If I should ever make it to NYC, I will have to come back to this post to refresh myself on some key places to take in. 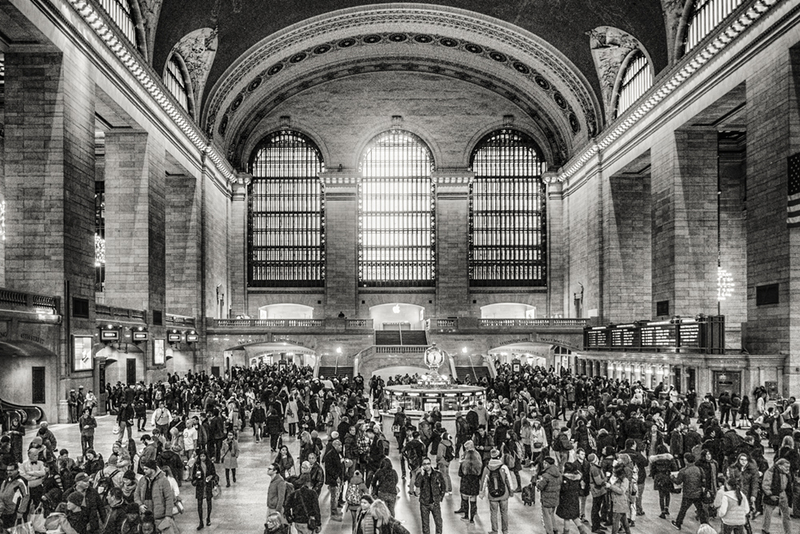 Wonderful and stunning images of NYC. I have bookmarked this page for my next trip to NY!! You are the best!! Love your black and white photos ! Keep them coming ! Great memories for me too – and some things I have yet to discover. Thanks for sharing.